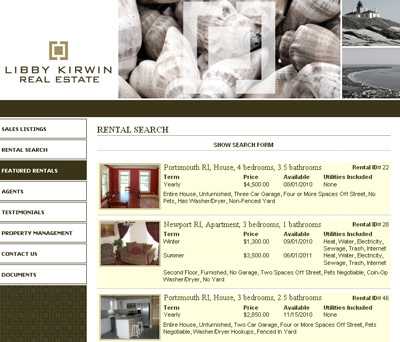 Whatever your Newport RI real estate needs, Libby Kirwin can handle them for you. Libby is a Newport native who, despite exploring other great locations, still decided to settle here in the beautiful "City by the Sea". 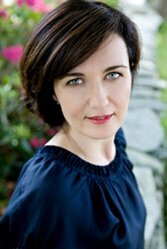 Her knowledge of the area, property management, sales and rentals allow her to provide unparalleled service to her clients. .....Libby Kirwin Real Estate will help you find what you're looking for. 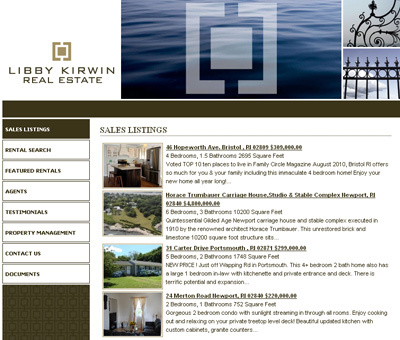 Contact Libby Kirwin Real Estate at the number below and learn how she and her team can assist you.